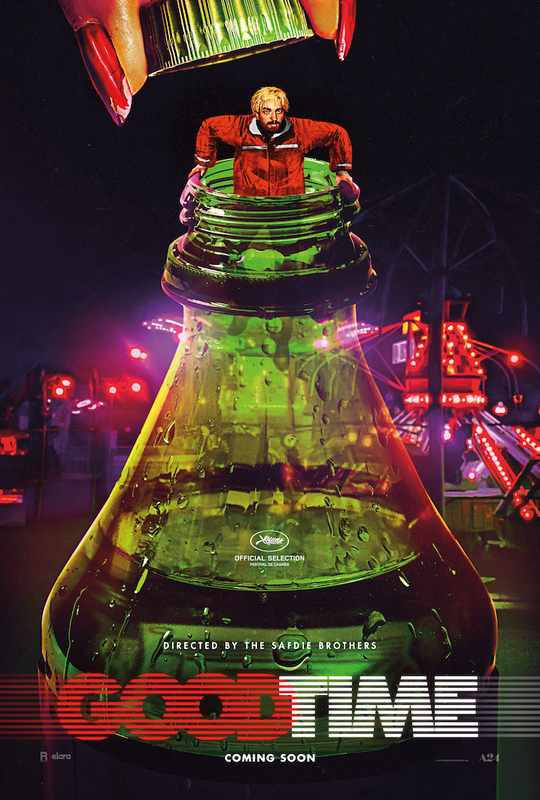 Synopsis: Following the mind-bending Heaven Knows What, celebrated filmmakers Josh and Benny Safdie return to the mean streets of New York City with Good Time, a hypnotic crime thriller that explores with bracing immediacy the tragic sway of family and fate. After a botched bank robbery lands his younger brother in prison, Constantine Nikas (Robert Pattinson) embarks on a twisted odyssey through the city's underworld in an increasingly desperate - and dangerous - attempt to get his brother out of jail. Over the course of one adrenalized night, Constantine finds himself on a mad descent into violence and mayhem as he races against the clock to save his brother and himself, knowing their lives hang in the balance.